Made a nice pasta dish for dinner this evening!! 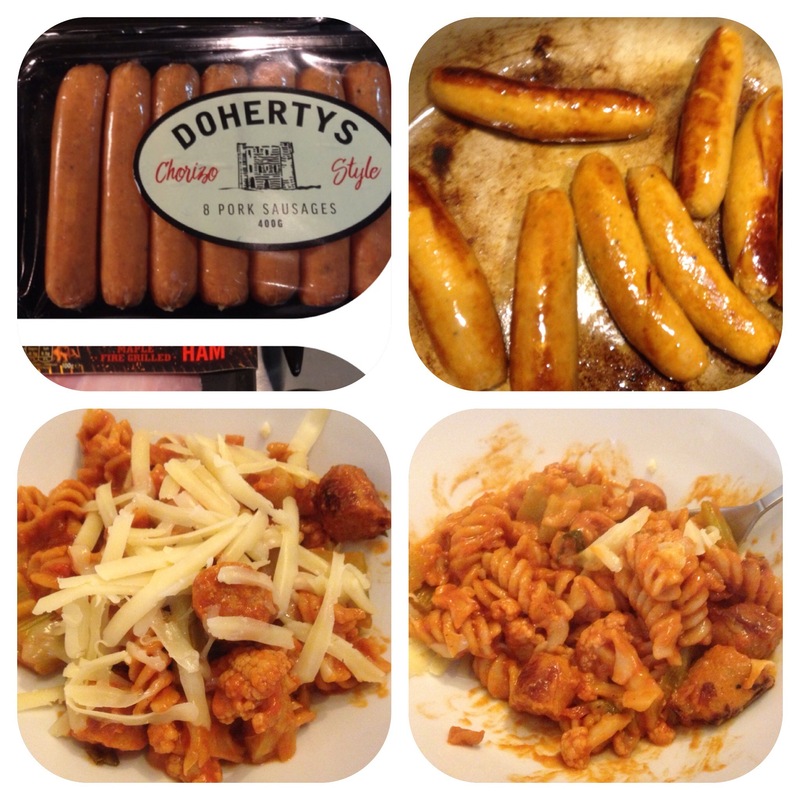 I fried off my Dohertys chorizo styled Pork sausages, cut them up and cooked them with chopped cauliflower, celery and fusilli whole meal pasta, before adding pasata and cream cheese. I seasoned and served with grated cheddar….delicious and simple. We all loved it! !